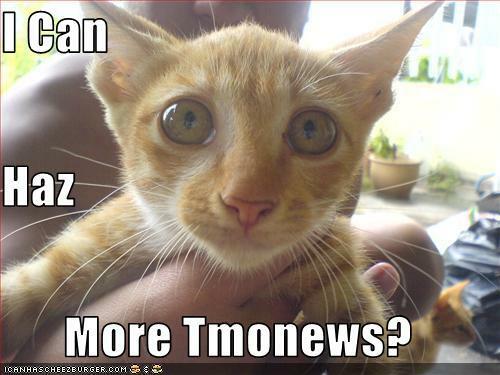 Welcome to this week’s edition of TmoNews Forums Recap! Becoming a member is fast and free, so if you have not already done so, head on over and register now. There has been quite a few going on in our awesome forums, and we here at TmoNews know that not everyone has the time and energy to search through our ever-growing forums! So we have compiled one article to bring you the latest and greatest happening in Magenta’s world! Let’s get started shall we? So the Fender MyTouch 3G is finally out, did anyone actually pick this bad boy up? Or perhaps you’re still waiting on the HTC HD2 due for release this Spring of 2010? No you say? You’d rather the Touch Diamond3, rumored to hit Magenta June 2010? So you’ve finally decided to get your hands on the big bad BlackBerry Bold 9700, now that T-Mobile has dropped the price down to $129.99. How do you like it? Any problems? Surely one of our awesome forums members can help you out! Still can’t decide between the Nexus One and HTC HD2? Have you rooted your Nexus One yet? Well thanks to Cyanogen, you can finally enable Multitouch on your Nexus One! Click here to share your success or maybe not so successful stories! Okay you’ve got an unlocked iPhone and you’re using it on none other than T-Mobile’s network. Check out these 9 tricks for new iPhone owners! So you’re a loyal Sidekick owner (nothing wrong with that), what new features would you like in the next gen Sidekick? Are you a die hard Windows Mobile fan? Well you’re not the only one! Head on over to our Windows Mobile subforum and discuss all the great happenings in the world of WinMo! Any FlexPay subscribers convert their account over to PostPaid? How did it go? Well that’s it for this week’s edition of TmoNews Forums recap! We look forward to seeing you in the forums! Looking to follow TmoNews on Twitter?? Here is the whole crew! why r they not exchanging your phone? Cos of the physical damage that is due to the SK itself and I’m still having data issue which I’ve also said about. Now the trackball is busted and a CSR was very rude to me last night so I went o twitter and hit up tmobile page. They said they will tc of my issue I hope so cos this is very upsetting paying all this money on a defective product. I finally got carrier billing for the android market. The market version is 1660, so apparently it’s not true that your market version has to be higher than 1660 to allow carrier billing as has been reported. I still haven’t went crazy buying apps though.